Hello Everyone, so I need some assistance trying to find a desktop or laptop that plays Second Life the best. I want to be able to be on ultra settings, with shadows and good lighting. 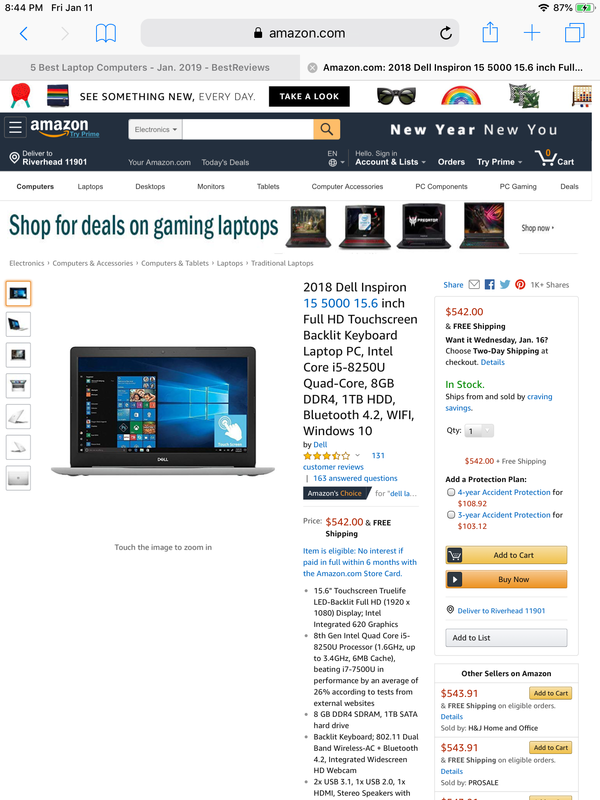 My hubby is getting me any desktop or computer I want this December and I’m not sure what to get. I’ve read many forums on this matter and all I see is everyone arguing saying their computer runs second Life the best, then someone always chimes in and says that particular computer isn’t good for gaming. So I’m very confused lol. Please let me know what you think is the best computer is for ultra settings, shadows, barley any glitches ect..
btw I currently have an Alienware 2006 laptop with a nivida graphics card that is outdated and I can barley run second Life on good graphics, let alone with any shadows or lights on. At least 16 gb of RAM though might as well go to 32 if you can afford it. A decently powerful video card, with VR and other things these days I would say a gtx 1080 at the minimum. -SL likes single threaded performance, and the difference between the modern i5's and i7's is minimal there while the cost is drastically different. I play SL generally maxed, ALM on, usually multiple sim render distances every little slider to the max and every box ticked. I generally get 30-40fps in less complex places and when there's lots of people around that does slow things down a bit but dropping Shadows or reducing the number of fully animated avatars helps drastically if I'm gonna be in crowds. And I have an older i5, 12gb of ram and a GTX 970. So if say if you're looking into a PC and want something modern that will max SL, really any pc on the market with a newer generation i5, 16gb of ddr4 and on the Nvidia side a bare minimum of a 3gb GTX 1060. Though any higher tier GPU will work better the margins would be small and the cost drastic. Don't buy anything that advertises an RTX card, SL doesn't use real time ray tracing and without that feature the RTX cards aren't worth the price increase over their previous generation Pascal 10xx series cards. On the AMD side, Ryzen 5 processors in general, you won't really see any performance difference with Ryzen 7 because it's just an R5 with more cores in the end and SL doesnt care how many cores you have. Ryzen 3 would be fine but you're looking at a lower end system overall there. Dell has a lot of prebuilt AND based gaming machines that are pretty cheap. Something like an R5 2600, 16gb of ddr4 and an RX 580/570 would be very common and priced well for the performance you would get. AMD GPUs on the high end are Vega 56 and 64 cards, you really won't see these in prebuilts. You'd really have to hunt for one if you wanted to go AMD high end. However this is beneficial for SL, as AMD's high end vega cards share a lot of features with their professional radeon pro line, and SL greatly prefers "workstation" drivers and hardware over "gaming" hardware. Dont buy anything with an i3, they're not underpowered but for the tiny cost to go from i3 to i5 it's not worth it. Dont buy any AMD APU with an A in the name. For some reason there are still A10 Apus sold. They perform terribly for SL. However a Ryzen APU such as the R3 2200G or R5 2400G would be basically the same as the Ryzen 3 1200, R5 1400 but with decent integrated graphics on par with a GT 1030. If you're on a tight budget, something with one of those two APUs would be a great option to have until you can add a dedicated gpu at a later time. its like having a Ferrari (i7) with the engine of a Jetta (1050ti) "it's a Ferrari, why won't it go faster?" And a lot of prebuilts are commonly sold like that because tech newbies see a lot talk about the two most discussed parts, Intel i7 processors and Nvidia midrange GPUs. So a lot of people who wonder what to buy end up buying really mismatched hardware because they see "best CPU for gaming!" And get an i7. And then the "most popular gpu for gaming!" And get a 1050. And these parts are in entirely different leagues. But when they go to do something gpu intensive they wonder why it doesn't perform well if they have a "high end" pc. It's not high end just because you have an i7. Also note some of the little details about prebuilt PCs that sellers try and get away with. You see a lot of desktops and especially laptops sold with 1tb hard drives, without them saying up front it's 5400rpm. Most desktop harddrives are at 7200rpm. The speed at which the motor runs dictates the speed at which the drive can be read/written to. A 5400rpm hard drive is abysmally slow and will make cache intensive games like SL incredibly slow. Try to find something with a boot SSD if not something that's entirely SSD. And if there is a hard drive pay attention to the listed speed. It does matter a lot for SL. Faster your cache and internet connection, faster things load. You see a lot of desktops and especially laptops sold with 1tb hard drives, without them saying up front it's 5400rpm. Most desktop harddrives are at 7200rpm. Yeah... A pair of 500 mb 7200 rpm drives are better than a single 1tb 5400 rpm drive. In addition, having more than one physical drive means you have more than one set of read/write heads, so putting the cache for SL on the 2nd drive, leaves the read/write heads on the first drive to handle the OS's disk access needs without affecting the average seek times for the 2nd drive and your cache. I’m a little dumb when it comes to computers, sorry ?. i have no clue what CPU, i3 or i5, AMD, AML, RTX or any of that is, I’ll have to do more research on the terms you have provided. i need all these tech terms put in Dummy form LOL so I can understand a bit better. should I get a dell, or Alienware, apux, toshiba? I have no idea, I just need suggestions on an exact computer that will run second Life as smooth as can be. I am willing to “build” my own desktop as some people refer, but then again a lot of people say that’s a waste of time and money. I’m just stuck. I don’t want to waste money, then get home and get on second Life and have it run like complete crap still. I’m really scared about that happening. I see SL Youtubers on their computers running second Life like a DREAM, and that’s what I want. Preferably what ‘strawberry signh’ has. I am a YouTuber myself and would like to run second Life on high graphics, with shadows but also be able to record. Ive been searching, researching, looking at videos, asking people for MONTHS about what computer I should get, and still no luck. 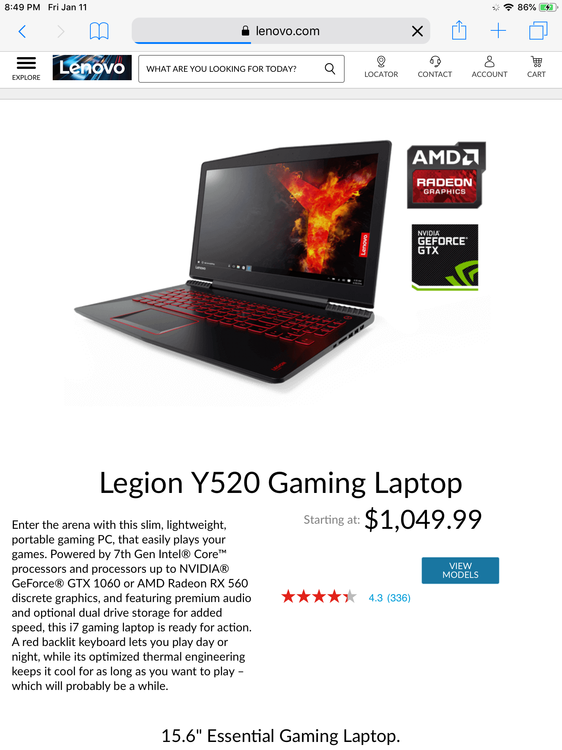 for example I’ll ask someone what computer I should get and they will say “get a dell laptop with yadaa yaddaaa...” then someone else will say “DONT GET A DELL, they are a waste of time and money” so I sit here like... uhhh... what should I do. Someone kindly suggested I post this on SL forums and some computer ‘experts’ will tell me the way to go, so I really really appreciate all of you trying to help me out in any way, you guys are incredible. CPU is the processor in the computer, it's a little more important than the gpu for SecondLife. The CPU handles math, physics and lighting, the gpu handles textures and object geometry. Better the processor you can get the better SL will perform. It gets a little more complicated than that, but that's why I say just get an i5. AMD is intels CPU competitor. They also make GPUs. ALM is advanced lighting and materials, the settings in SL that are the most demanding on the system. RTX is the brand like of the new GPUs from Nvidia. Last generation was Pascal GTX (1080, 1070, 1060, etc) now we have Turing RTX (2080, 2070, etc). With the "GTX" brand name being replaced with "RTX" because they're advertising real time ray tracing as a feature. All you have to know is that they're really expensive compared to the older pascal cards and don't perform that much better. And SL doesn't use ray tracing. As far as what to buy for SL. I can literally just link you a PC here that will play SL at max and hold decent frame rates without issues. Personaly not a fan of the aesthetics. But it's a decent PC and can be easily upgraded in the future. You definitely pay that prebuilt premium but in exchange you get lenovos pretty great warranty and service guarantees. As far as what to buy otherwise, find something with an i5 and a 1060 3 or 6gb, 8 or 16gb of ram. Basically look for the best price for the specs of that PC. Really take into consideration things like storage as well. That's a 7200rpm 1tb hard drive and a 128gb nvme boot SSD, an nvme ssd is really good and incredibly fast. Never buy a PC solely on brand, that's why Alienware and MSI charge so much money for gaming laptops. People don't bother to think about the relation between specification and actual performance. They just presume if it's Alienware it's gonna perform good so they shell out whatever they charge. MSI has some decent laptops on the lower price end, but Alienware is really just overpriced. Dell makes Alienware, avoid dell as well. Though their desktops are OK. Acer makes low end cheap gaming laptops, they'll perform fine but don't expected them to last a long time. If you wanted to build your own I could provide you with all the info needed to do that and a parts list, or give you a step by step myself. Key phrase hilited. It all depends on what you do with your computer and what else you run when running the viewer. I don't currently have any viewers running and I'm using 10 of my 16 GB. The programs that I have running are typical for me to always have running, even when inworld. My memory starts getting tight if I run more than one viewer and have at least one of them logged in almost the entire day (memory seems to creep up over long periods of time). I'm considering a memory bump, just to give it more breathing room when my multi-tasking gets extreme. Never buy a PC solely on brand, that's why Alienware and MSI charge so much money for gaming laptops. I would highly suggest getting more ram lol. But yeah, it depends on what you personally do. I idle at 430-450mb of ram usage on Windows 7 Enterprise. With firefox with 10+ tabs, two LL secondlife viewers going, discord, glasswire, etc all that in the background i maybe max at 8-9gb. Hence why i have 12gb of ram. Meanwhile Squad manages to use all 12gb and a 32gb page file but whatever. I see SL Youtubers on their computers running second Life like a DREAM, and that’s what I want. Preferably what ‘strawberry signh﻿’ has. I am a YouTuber myself and would like to run second Life on high graphics, with shadows but also be able to record. From her system specs page, she actually doesnt have anything too fancy. The i5 8400 is really about the same, very minimal difference. TO match her specs you could likely find a model of that lenovo PC or something similar with a 6gb 1060. The 3GB 1060 is slightly below a 970, the 6gb 1060 is right on par with a 970 (although has slightly more video memory. I am willing to “build” my own desktop as some people refer, but then again a lot of people say that’s a waste of time and money. Building your own PC is something you definitely can do, in the end it costs about the same, but it can be fun to do and allows for a greater level of customization and control over what youre getting. This here would be every single part needed to build your own Mini ITX pc with an i5 8400, 16gb of ram and a 6gb GTX 1060. To run SL maxed at all times and compare to that youtubers PC. Just around 970$. Ignore the mail in rebates. Its easy to work in and a good choice for a first time builder. If you want to actually do that. I would happily write out a step by step and provide a literal wall of text worth of resources on how to do that, simply say if you want to. Its my hobby and i enjoy teaching others. I idle at 430-450mb of ram usage on Windows 7 Enterprise. There's the other thing - I'm on Windows 10 now and I swear that OS eats up more memory with every release. Some day, if I get curious enough, I'll have to go look and figure out how much the basic OS uses these days. Thank you so much for your help, me & my man have checked out the link you gave us and he said it looks like a really good computer. I just want to make sure it will allow me to have my graphics high on firestorm viewer and record on Ocam at the same time without crashing. Or would it be better for me to just build my own? opinions on these please..be very very honest. I need a good laptop. Make sure your CPU or GPU aren't getting bottle necked by each other killing potential performance. Putting the SL or Firestorm cache on a solid state drive is a huge win. You only need about 10GB of SSD for that. The OS and the viewer don't need to be on SSD; once the system has booted and the viewer has loaded, there's minimal disk traffic outside the cache. If you're swapping, you need more RAM, not a faster swap device. Do not use bottleneck calculators, they're owned by computer part companies and are designed to trick you into getting and upgrade you don't need. Just buy this Xeon! Totally pair with your 1060! It's a workstation class haswell hyperthreaded quadcore that really just performs about the same as the 2200g. Bottleneck calculators are just overall a click bait sort of site designed to provide a person with SOME information, wether it's useful, true or even vaguely based in any kind of comparative research is out the window.